When it came to Uttar Pradesh, I was again debating what to choose from. I already seem to have made some that belong to this rich cuisine. This state has two very rich cuisines, Awadhi cuisine and Mughlai cuisine. Both as one can see, has such rich and popular dishes belonging to it. The dum style of cooking got famous from this cuisine. 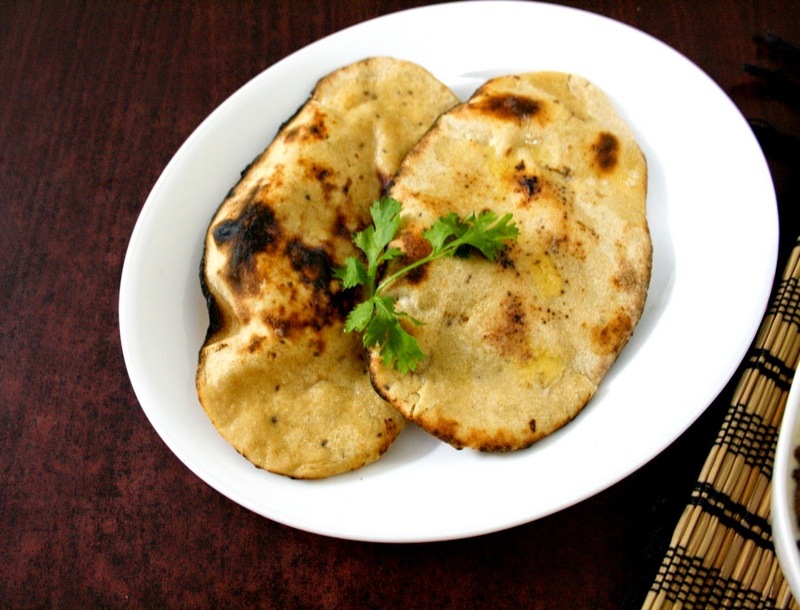 The cuisine has elaborate dishes like Kebabs, Kormas, and Biryanis. With main ingredients including Mutton and Paneer, with spices like cardamom and saffron. Since I was looking for bread, I had to select one again that was different and I landed in Tarla Dalal's recipe. Khamiri Roti is a leavened bread. In this bread, yeast is used in a wheat flour to prepare this thick and spongy bread. I made both baked and flame baked rotis. 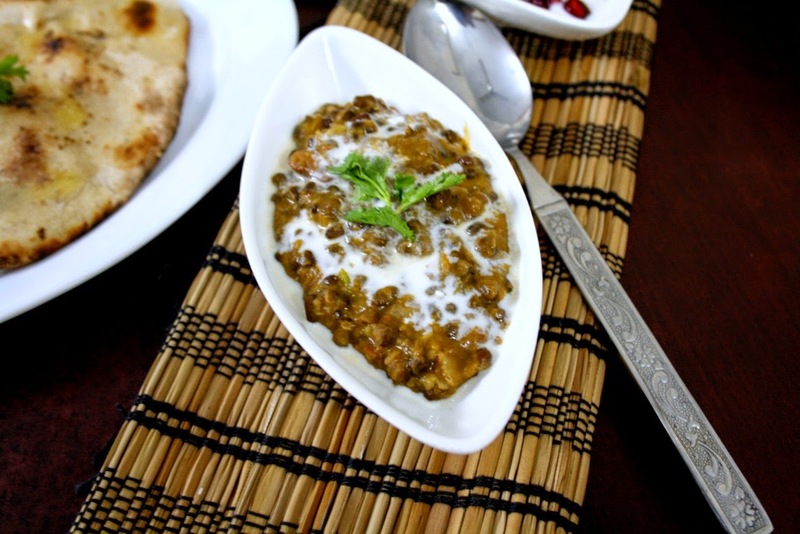 To serve with this, I selected a dal Makhni to go and the pair was so heavenly! 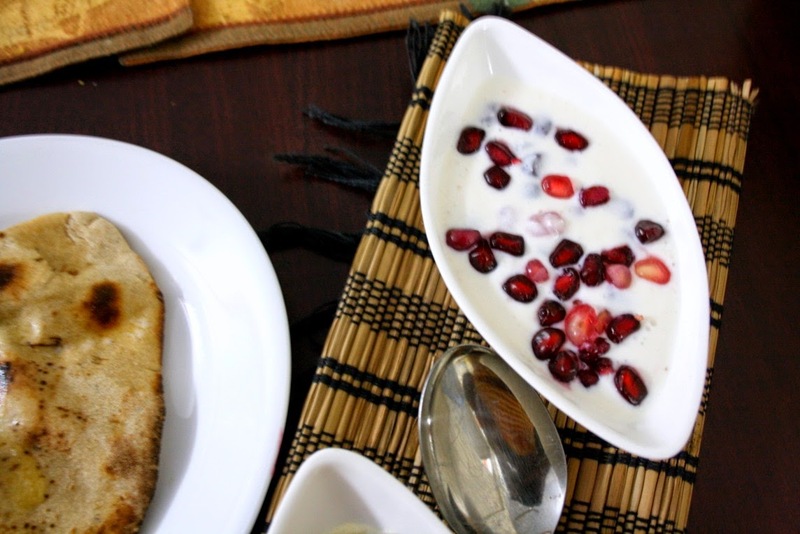 I made pomegranate raitha to complete this sinful combination. 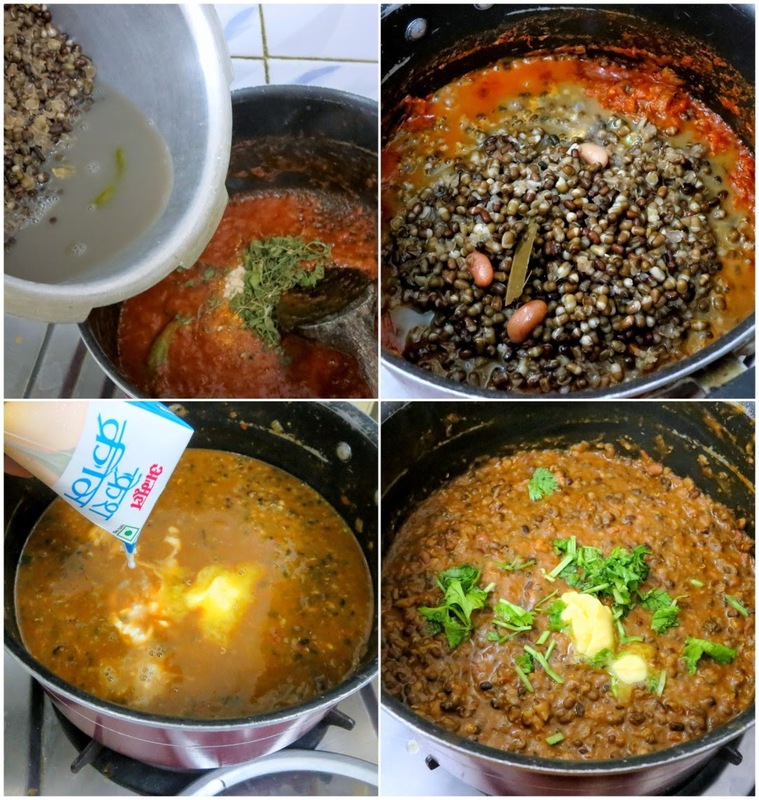 Dal Makhani has always been our favourite and I have a whole lot of different recipes falling under this name. This is apart from the versions I have already shared. 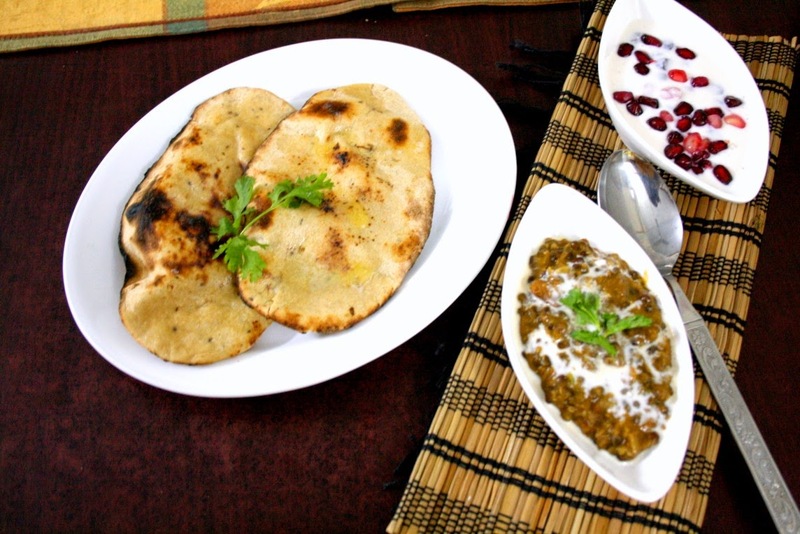 The rotis were amazing with dal Makhani. The yeast makes the bread very soft, cooking on the open flames, gives it a wonderful smoky aroma. The baked version was baked but without the upper crust being browned. So I again had to cook on the flame, to get the effect. Add the sugar, warm water to the yeast. Keep it closed for 10 mins or until yeast froths. 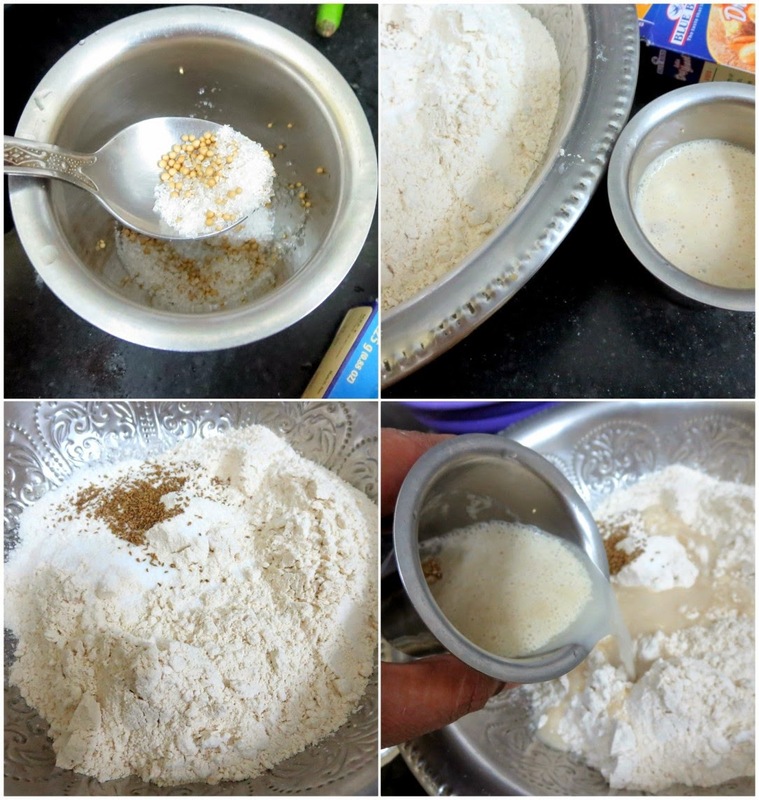 In a wide bowl, take the wheat flour, salt, ajwain and slowly add the yeast along with the water. 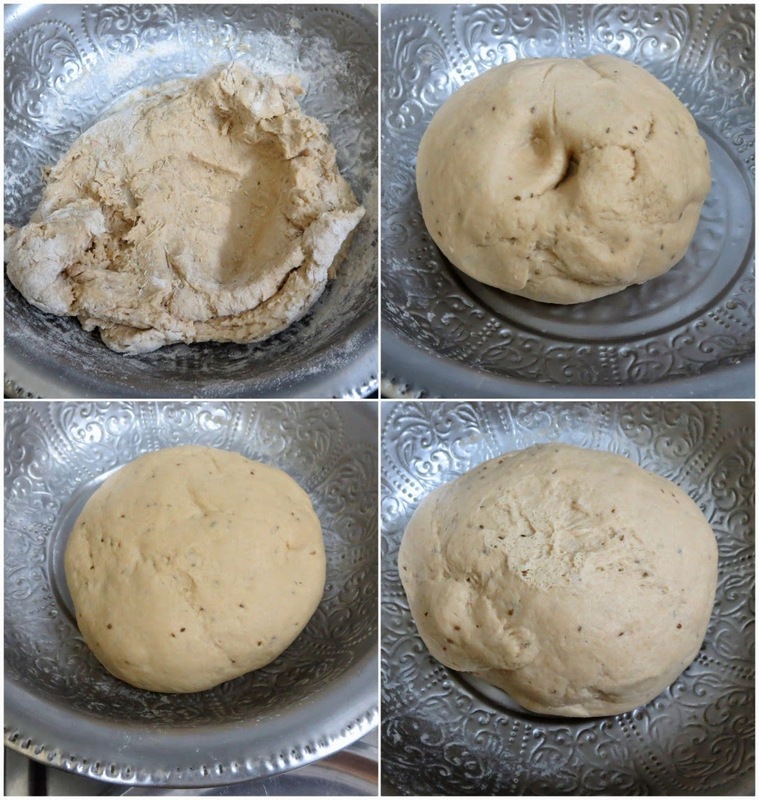 Knead to a soft dough. Keep it covered for an hour or so. Once the dough has risen to double its size, punch it down again and knead well. Keep it covered again fro 15 - 30 mins. Pinch out equal balls and roll out each into a oval shape with about 2-3" thickness. 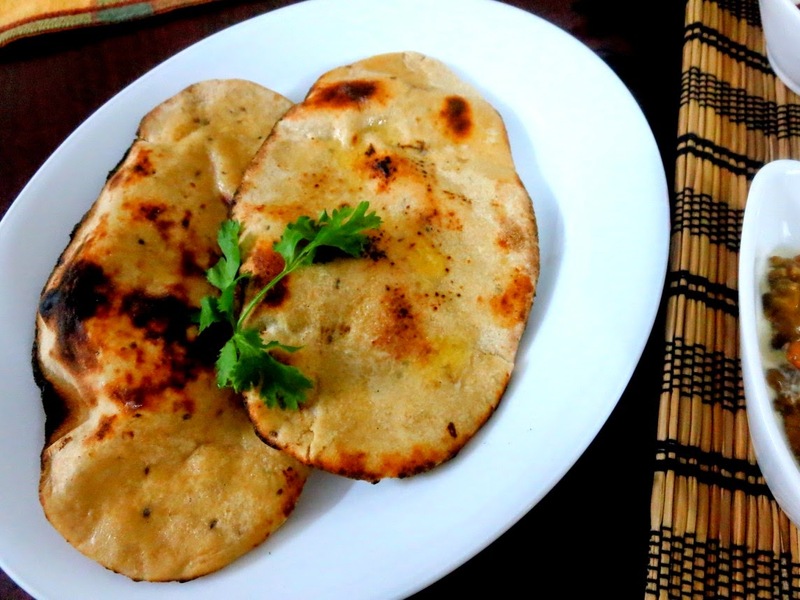 If you are baking, grease a baking tray, pre heat the oven at 200 C and bake for 10 mins or till the rotis are done. You can check this by seeing the top getting spots. Remove and brush with saffron mixed milk, butter and serve hot. If you want to cook this directly over the flame, first cook this on the tawa on both the sides. 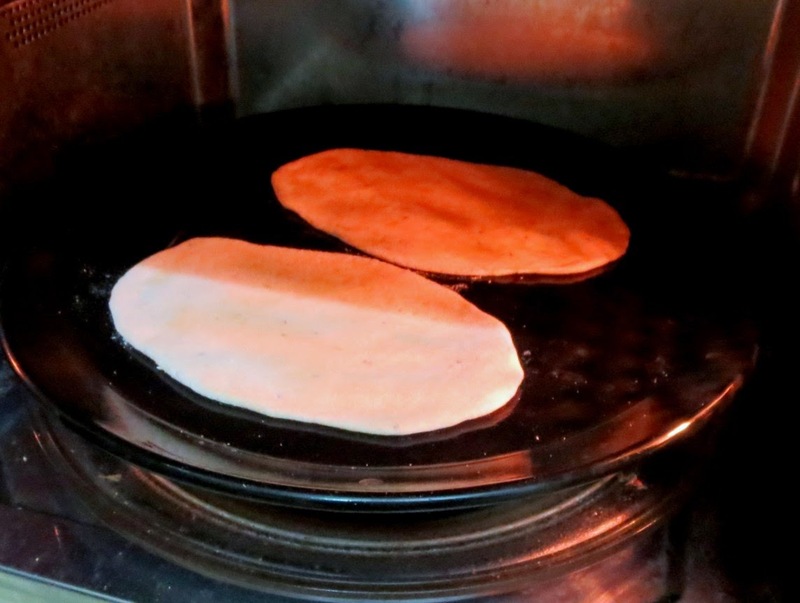 Then put the rotis directly on the flame and cook on both sides. In a non stick pan, add the butter, cumin seeds, saute the ginger, finely chopped onions, green chilies till onion turns brown. Then add the tomato puree and cook till oil separates. Now add the spice powders, salt and cook for some more time. 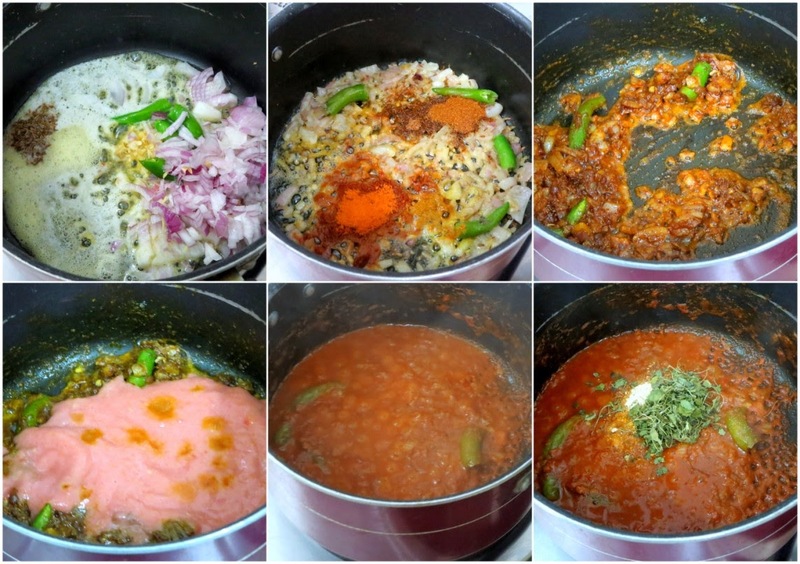 Add the mashed dal, and mix well. Bring to boil and add more water if required. 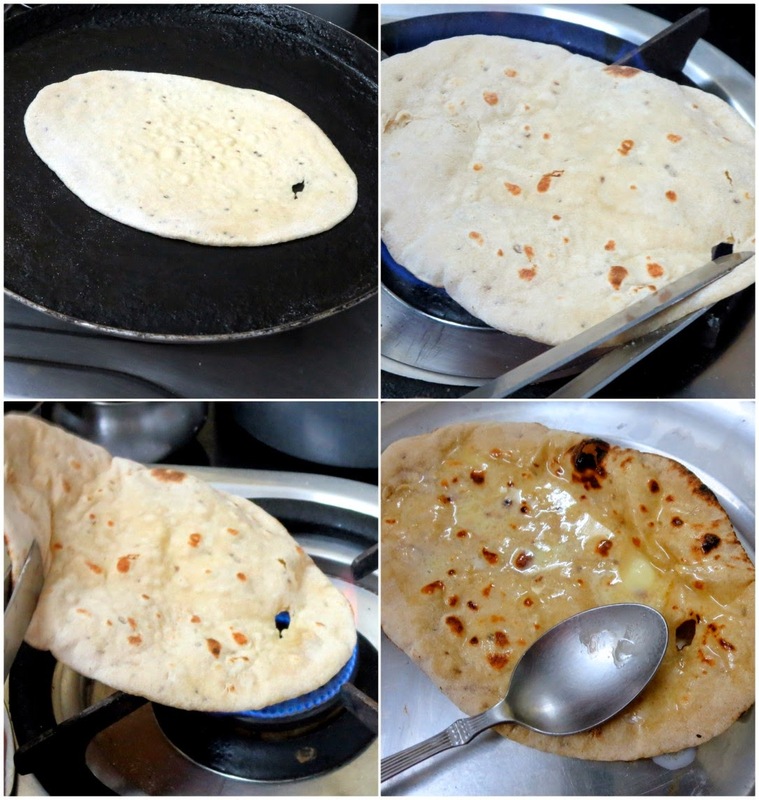 When the consistency is right, it takes about 5 - 7 mins, add the cream, kasturi methi and butter. Simmer again for few mins.